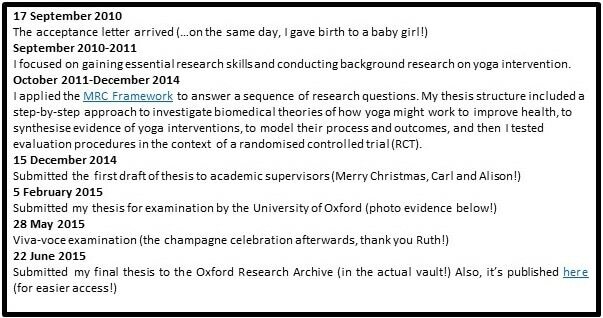 In 2010, I was introduced to Oxford’s Centre for Evidence-Based Medicine during an immersion workshop into the practice of Evidence-Based Medicine (EBM). This EBM immersive experience was led by Director of the Centre, Professor Carl Heneghan. Soon I met Dr Annette Plüddemann and Professor Mike Clarke – each of whom I credit for spurring me into completing a research doctorate in EBM. For me, EBM training has provided a pragmatic, transferable paradigm that makes a clear distinction between truth and bias. A paradigm that seems ever useful in the new world, of dare I say: fake news. After completing an MSc in International Health Policy at the London School of Economics and Political Science (in 2005) and a bachelor degree from McMaster University (in 2000), I was co-founder and director of a charitable foundation based in Geneva, Switzerland at the time of my application to the programme. I was juggling sparse data from the field in West Africa, and wondering how better evidence could influence decisions in our health and education programs. In taking a short three-day course in EBM, I made a convincing discovery about the interesting topics and encouraging types of people who work in Evidence-Based Medicine. With an opportunity to explore how yoga intervention could impact patients with non-communicable diseases, I started a new academic journey under the supervision by Professor Carl Heneghan and Dr Alison Ward as a student of Kellogg College, University of Oxford in October 2010. The DPhil on a part-time track provided me with a flexible schedule that allowed me to maintain existing commitments at home and work. Over the five years I was a DPhil student, I studied EBM theory, its practice, and then applied these skills to appraising and implementing qualitative and quantitative research methods. I practiced valuable organizational skills, like: managing data, working with patients, collaborating with researchers, and facilitating project management across three time-zones (from Geneva, to Oxford, to Vancouver). I learned to find pockets of quiet time to grapple with data and write my papers. This usually meant staying up quite late, suffering countless backaches and headaches, all made easier with big mugs of tea and a sign on my door that said, politely: Do not disturb. It was seven publications, four hours of oral examinations, and countless missed social occasions – before I was writing up my acknowledgements on the inside cover of my bound 487-page thesis. In completing a DPhil, there are five key words that can underpin a successful experience, something I affectionately call, the PROMPT technique. The acronym means: work with people you can trust to assist in your learning journey; choose a relevant topic, whatever that means to you; be organised and work to a schedule; be honest about your methods and ask how they are appropriate (or insufficient) in answering your research question; publish your work – early and often; and lastly, be thorough – research in healthcare is a detailed, systematic endeavor so be scrupulous. Is a DPhil in EBHC right for you? A DPhil can provide exceptional and positive gains in content knowledge, providing sufficient time to gain expertise in a specific subject area. If a certification is important for your career advancement, this can also be a valuable outcome of a DPhil programme. Admittedly, a rather unanticipated gain during my DPhil process was a new community of colleagues. The enthusiasm for evidence and new discoveries is infectious, and I grew to like the place, the people and their purpose, very much.